Members of Bay Area Intactivists received another warm welcome during the staffing of their booth at the San Francisco Birth & Baby Fair which was held on June 23 in San Mateo. 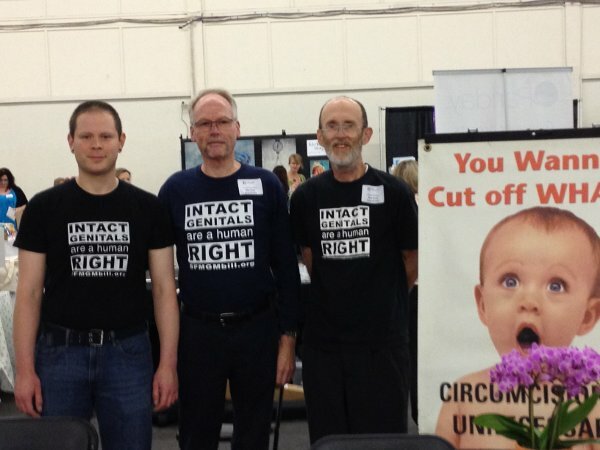 This baby fair is one of several in the San Francisco Bay area that is attended by members of Bay Area Intactivists in order to raise awareness of the damage caused by circumcision and the proper care for intact children. The next baby fair to feature a Bay Area Intactivists booth will be the Birth & Family Fair in Palo Alto on Saturday, September 15.